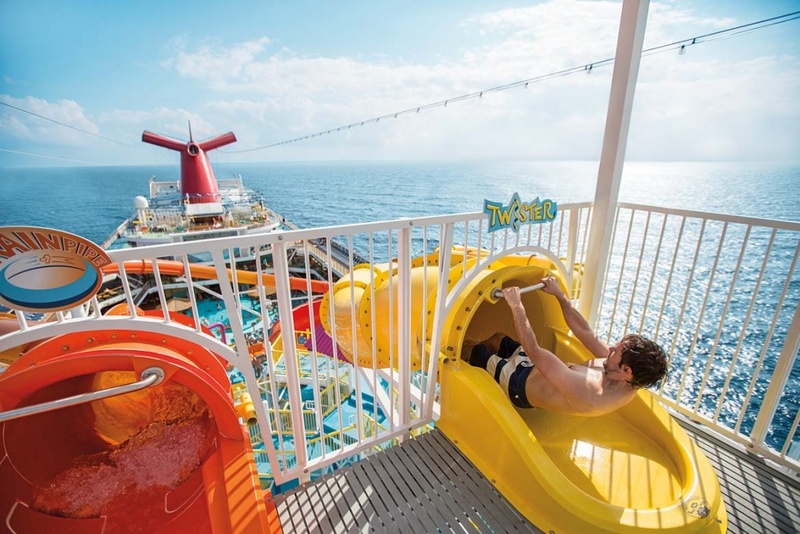 In 2009, a revolution in cruising began when Carnival Cruise Line introduced Waterworks, an aqua fun-park at sea. 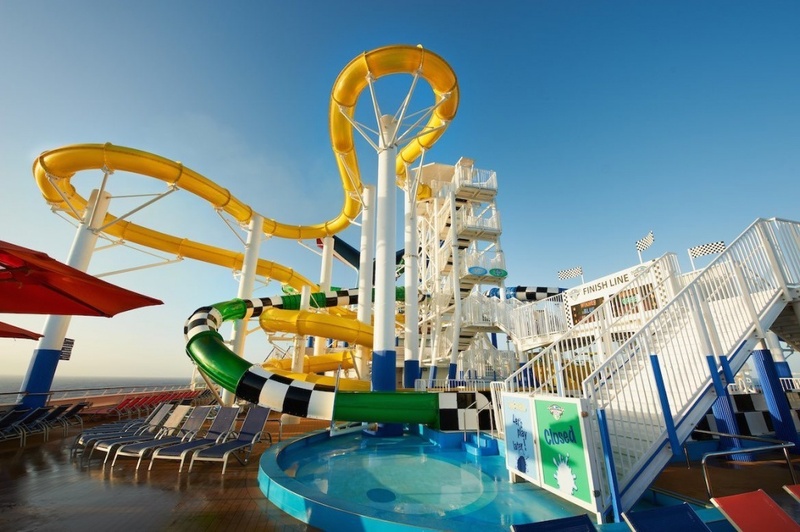 Waterworks is now the stand-out feature on many Carnival ships, featuring the Twister, a huge corkscrew ride, and the enclosed DrainPipe spiral ride. 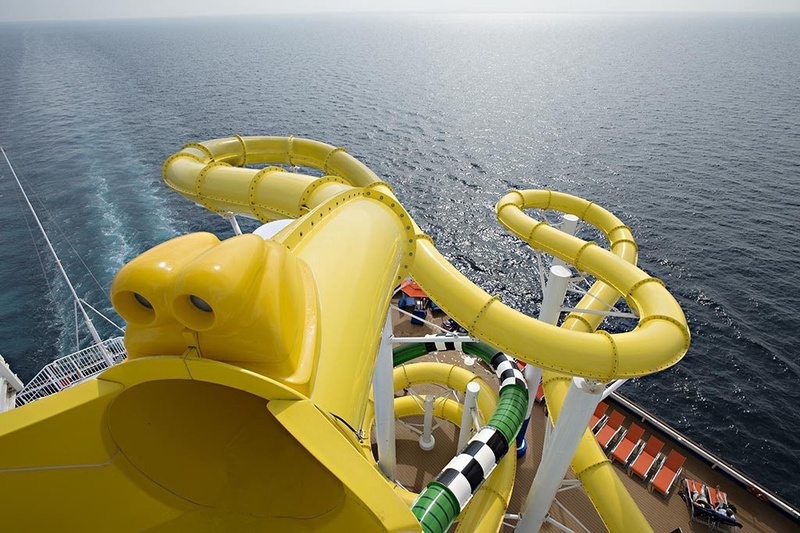 Some Carnival ships even have side-by-side racing slides for serious fun that ends with a big splash in the pool below. For cruising traditionalists, or those who have been out of the cruise ship loop for a decade or so, the transformation of cruising requires some back-story. The dawning of modern theme-park family cruising began around 2005, when Royal Caribbean Cruise Line introduced us to all-new attractions that included the first ever at-sea ice skating rink. 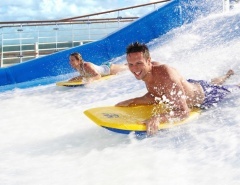 The always innovative Royal Caribbean paved the way with rock climbing walls, mini-golf, the FlowRider surf simulator and the H2O Zone aqua park. 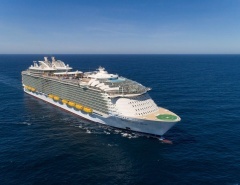 The race was on, and other family-friendly cruise lines began construction and retro-fitting of cruise ships to lure the new passenger demographic. 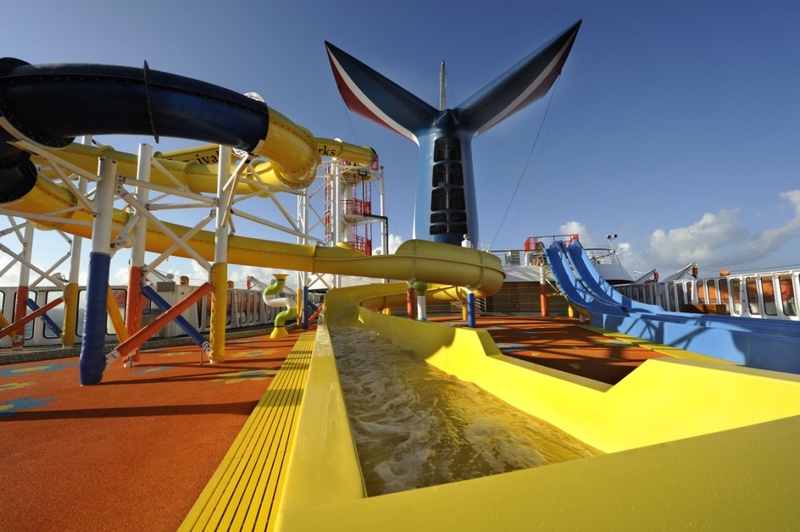 In 2009, Carnival Cruise Line introduced us to WaterWorks on Carnival Ecstasy and Carnival Dream. 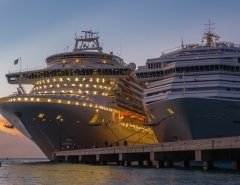 Every ship is different, and the WaterWorks configuration varies on Carnival vessels, but the experience is now enjoyed by cruisers on many Carnival ships around the world. WaterWorks is available on: Carnival Breeze, Carnival Dream, Carnival Ecstasy, Carnival Fantasy, Carnival Fascination, Carnival Imagination, Carnival Inspiration, Carnival Legend, Carnival Magic, Carnival Sensation, Carnival Spirit and Carnival Sunshine. Summer vacations will never be the same again. It seems every child in the world has at one time or another begged and pleaded with parents to visit Disneyland. Just wait until they find out about the Carnival WaterWorks theme-park style experience. Cruising has changed forever, and kids are now part of the deal. 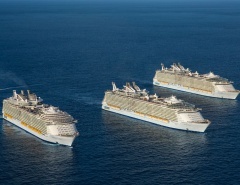 Not every cruise line has jumped onboard the family cruising revolution though. The majority of cruisers are still mature age, and more middle aged and younger couples are experiencing the pleasure of cruising. Cruise lines such as P&O and Cunard cater admirably to the mature and adults-only theme, meaning the ideal cruise style is available for everyone; couples, families, singles and groups. It’s no wonder cruising is more popular than ever. WaterWorks has taken the cruise industry by storm, with facilities that include giant slides for bigger and braver kids (or mums and dads). The slides are colourful and include special lighting effects. If you want to get wet without the slide, try standing under the PowerDrencher and get soaked when the enormous bucket of water spills from above. Smaller children are also welcome at WaterWorks, and have their own much smaller water slides that end with a splash. 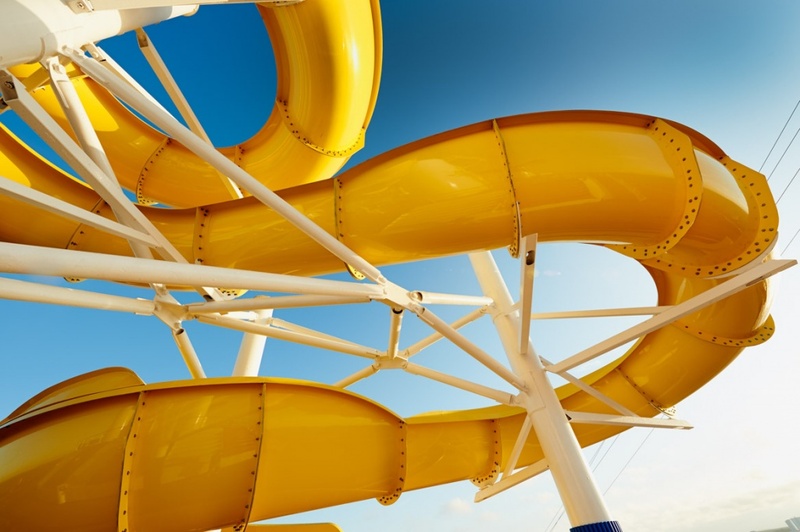 Not everyone wants to ride giant slides and get completely soaked all day long, although with cruises that take in some of the best tropical destinations it’s certainly an option. 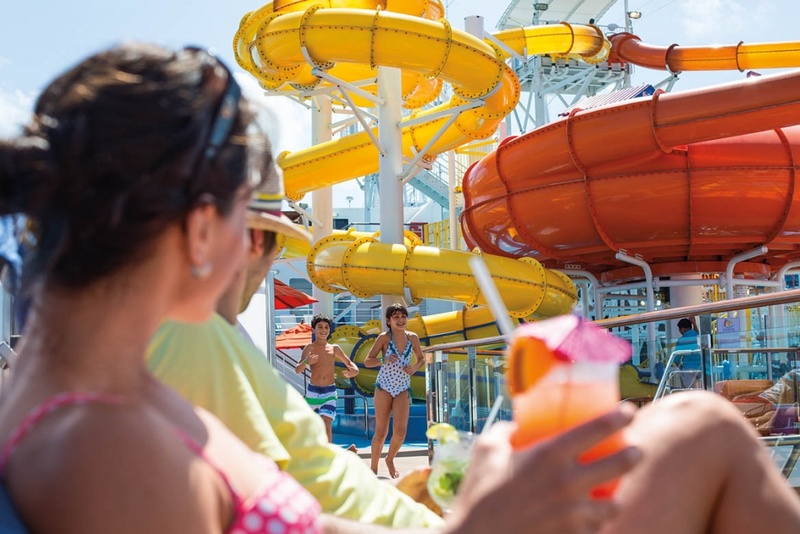 For those who prefer a more sedate experience, Carnival ships have large traditional style cruise ship pools where taking a gentle dip, swimming laps, or simply lounging deck-side are seriously serene options. 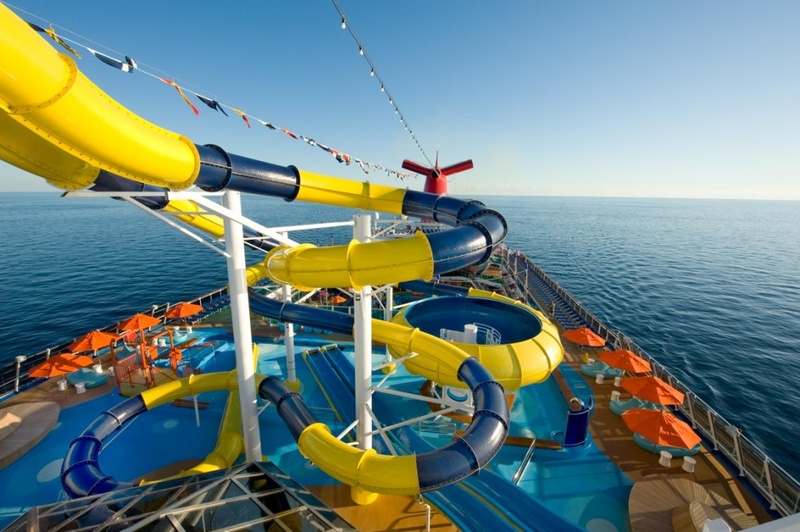 In fact, some Carnival ships have two pools. Toward the back of the ship, away from the noisy action, is the aft pool where you will appreciate the view and catch invigorating sea breezes. The midship pool is ideally located as a meeting place or relaxation zone and also features the big screen for viewing recent release movies. Soaking up the sun, enjoying water-sports and visiting idyllic destinations is what Carnival is all about. 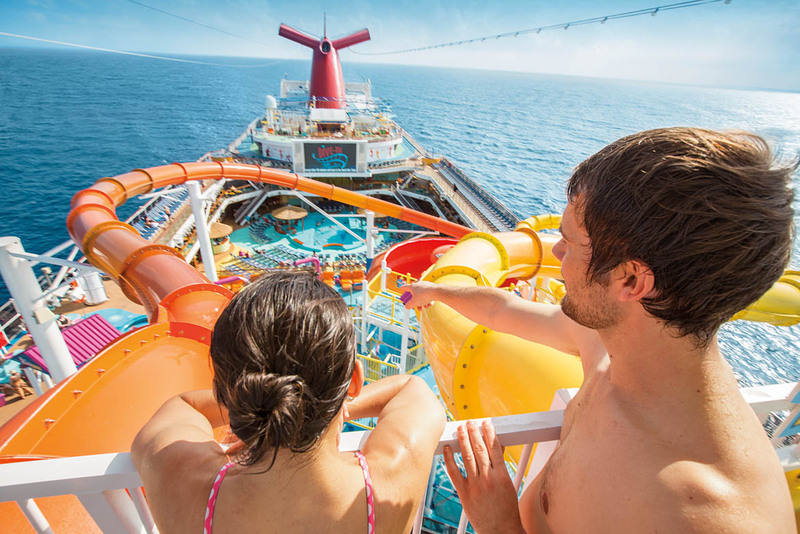 Carnival understands that a family vacation should be fun. They also understand that parents and guardians need down-time to recharge. The Serenity adults-only retreat is just the place where you can get away from all the excitement and wind down in a swaying hammock, relax on comfy outdoor seating, enjoy a tasty cocktail, or simply read that book you’ve been saving for the voyage.